When given the option, I’ll always opt for text mode when completing a task. In Rails that usually means Rake. There’s a point in most Rails apps, however, when the time to boot Rails just to rake -T is painful. So when Richard Schneeman got tired of waiting on Rails to run rake routes, he created Sextant, a gem that lists your routes in development mode right in your browser. 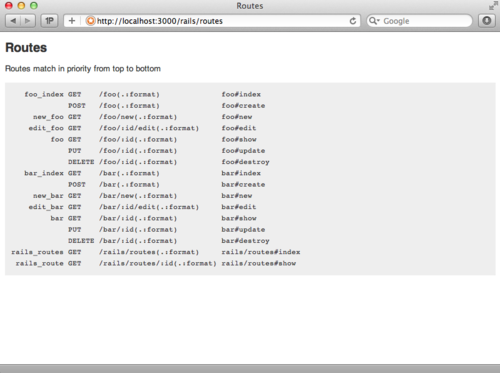 Since your web server is presumably already booted, there’s no startup tax to see your routes. Check out Richard’s blog post or the source on GitHub for more.